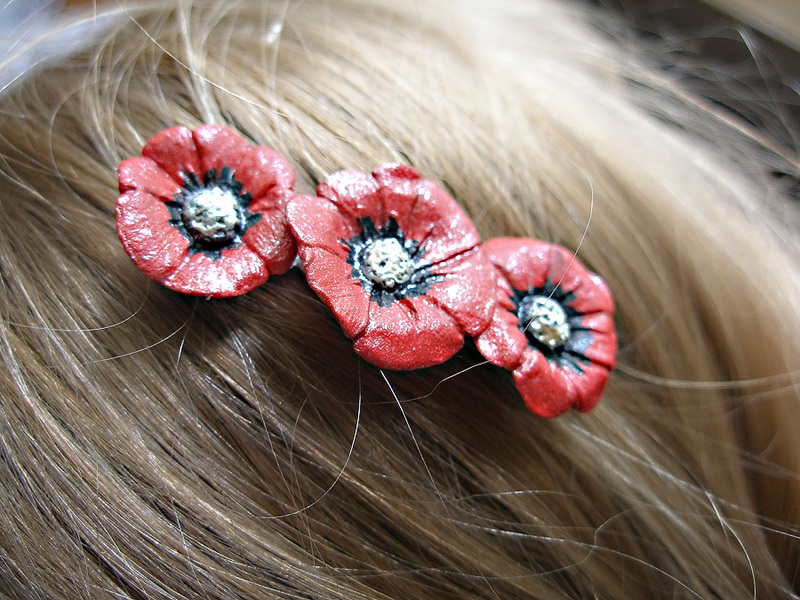 Poppy Hair Comb – Paperclay | Who Are You Calling Crafty? 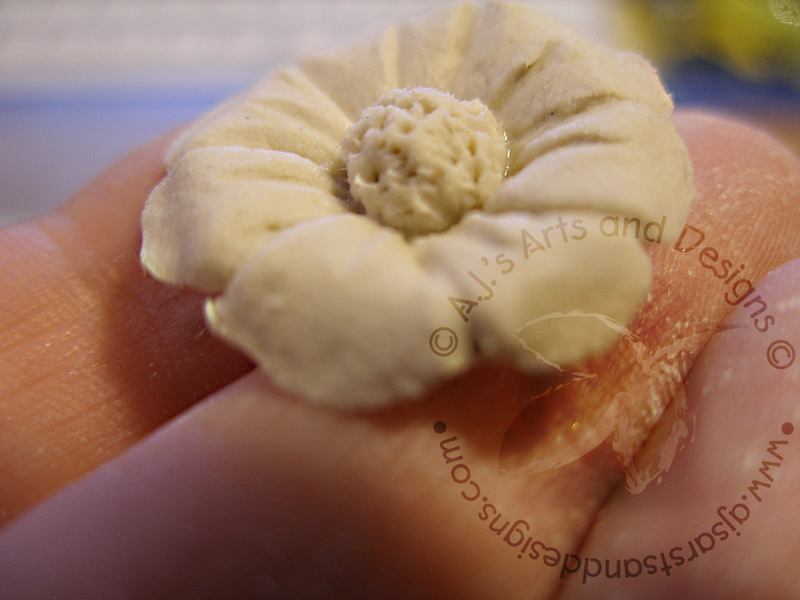 I had been thinking about this project ever since Memorial Day when I was given a “Buddy” Poppy for my donation to the Veterans of Foreign Wars. 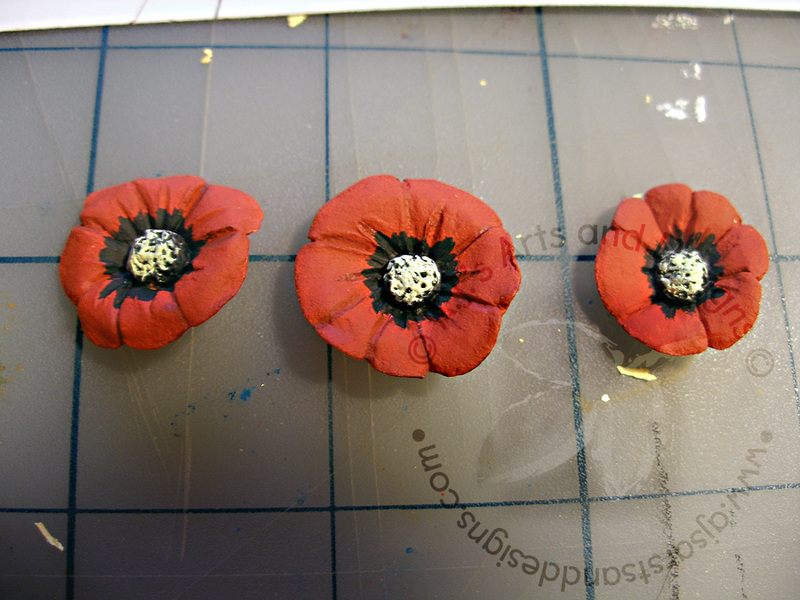 I remember growing up going to the local VFW with my grandma and helping make paper poppies for Memorial Day. Every year I try to go somewhere on Memorial Day so I can get my poppy. 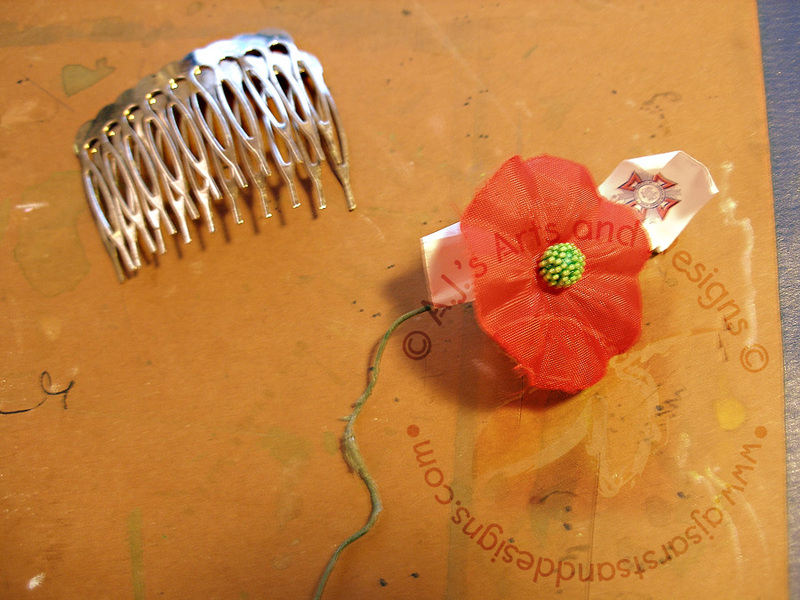 Much to my surprise this year the poppy was fabric, I have no idea how long they have been fabric but it is awesome! I was going to do a headband but did I mention it is summer vacation and both kids are home so I decided to see what else I had. 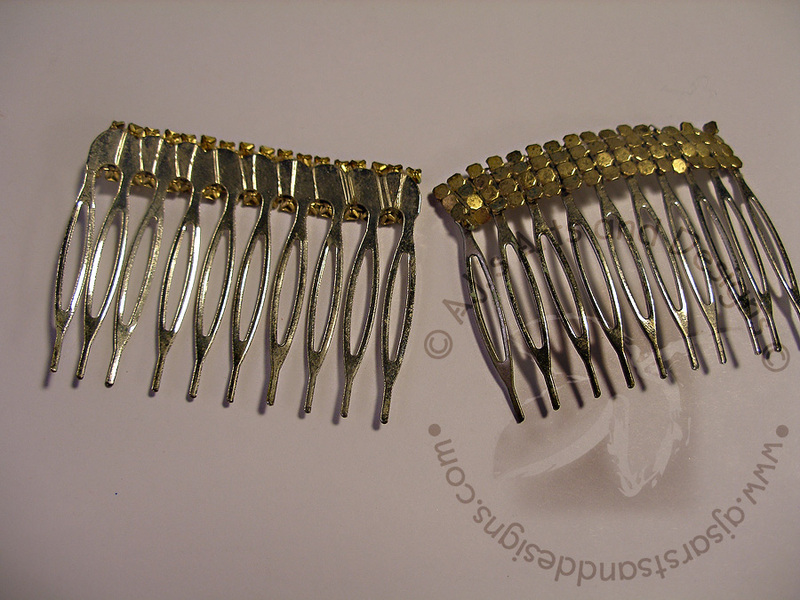 I found some hair combs with metal sewn on them and I decided to “recycle” the comb. 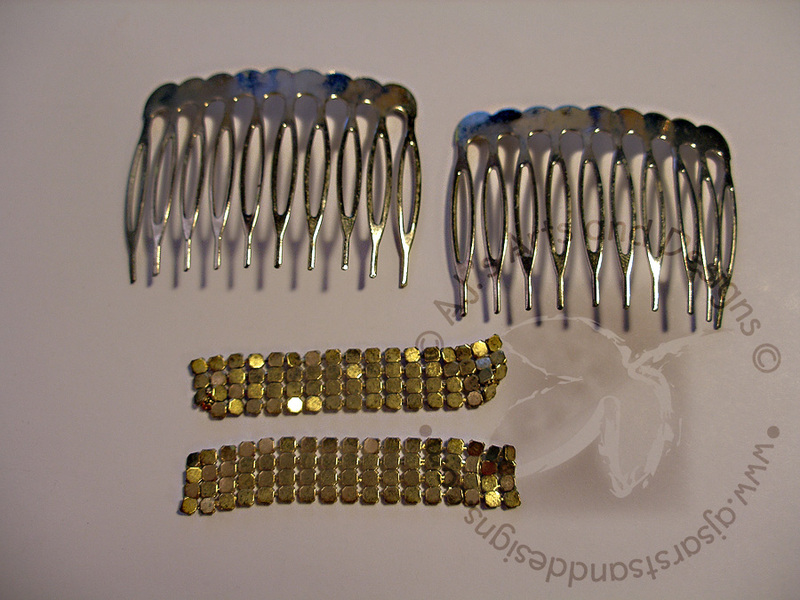 I guess the first step really is to have some inspiration and some old Hair Combs to recycle. 1. 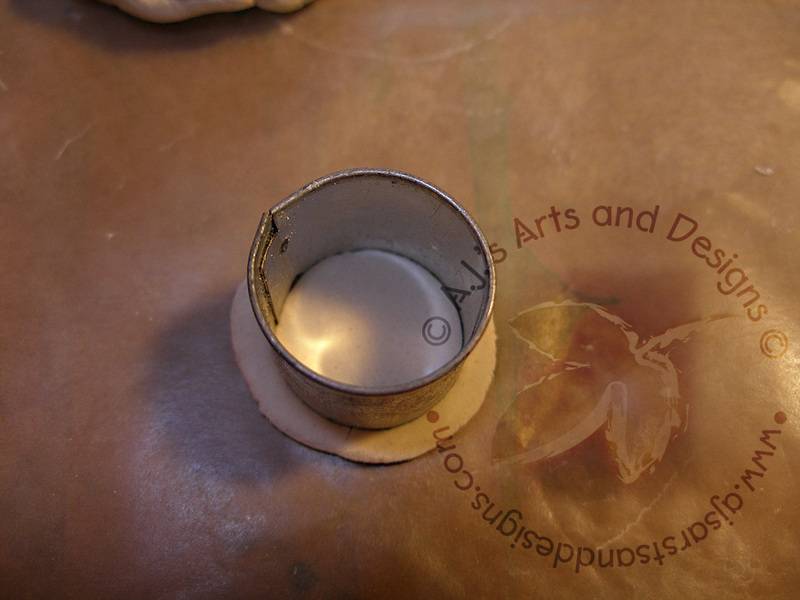 Roll out clay and use the cutter to make a circle. 3. 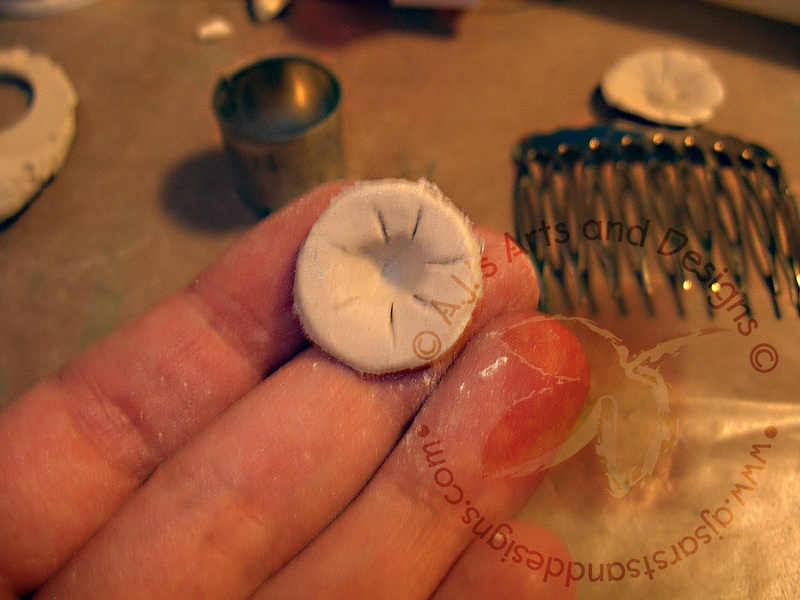 Take a sculpting tool to dome the middle out This will make it easier for the ball of clay to stay in place. 4. Around each line on the end to form the petals. Draw lines in between the petals smooth out with water. 5. Add ball of clay. 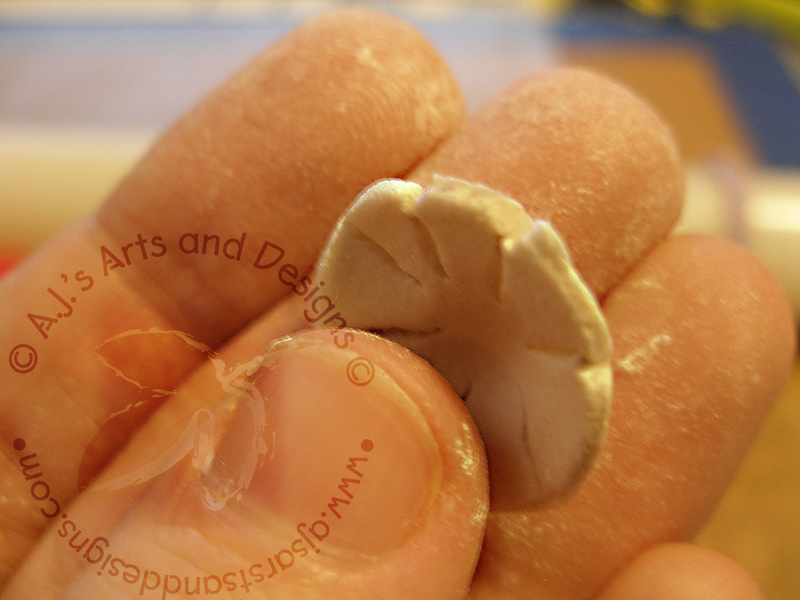 Stab clay with the tip of an Exacto knife or use a sculpting tool This will look like the center of the flower. 6. Let dry. 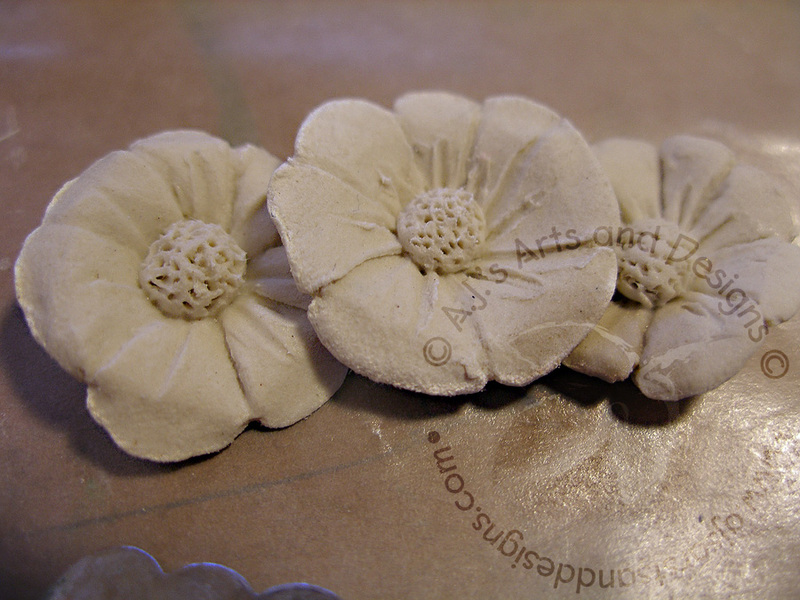 Repeat steps 1-5 for each flower. 7. Paint red and green for the inside. 8. Hot glue to the hair comb. 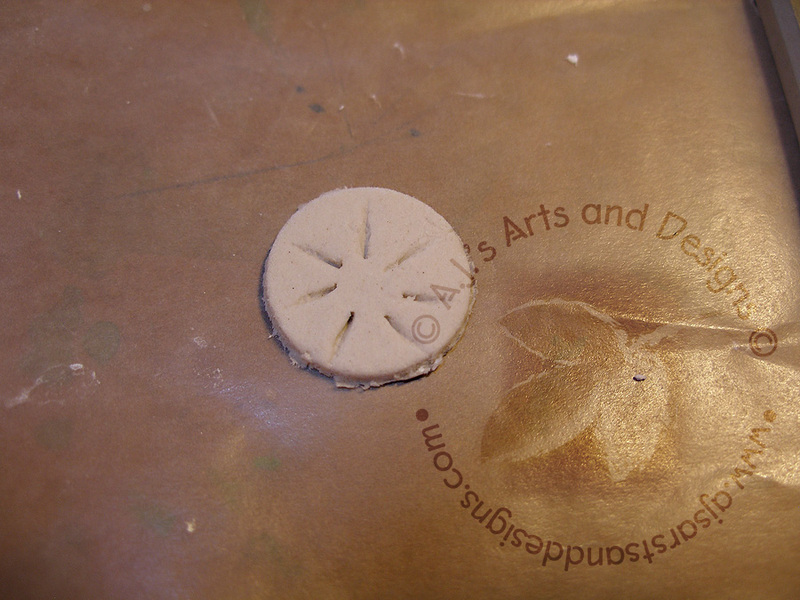 Seal with sealant.